My first Jack O Lantern. Not a common site in New Zealand I imagine, but we’ve had this huge pumpkin thing kicking around our house for a while. 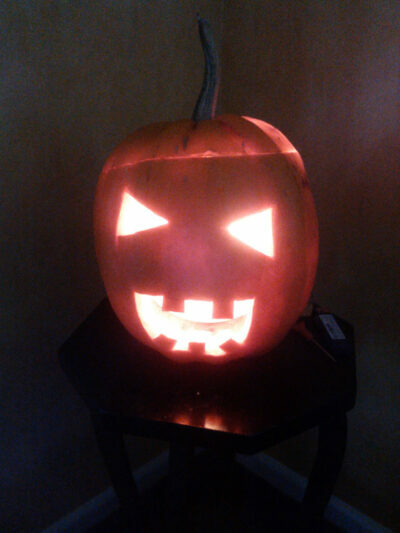 Today Ashleigh and I decided to have a go at making a Jack’o’lantern.